The Fashion Collection is a project based on the collaboration between Gamma & Bross and Club House Italia (manufacturer of Fendi Casa), two companies that share the passion for craftsmanship, attention to detail, and for that mix of tradition and innovation that converge in a unique product. 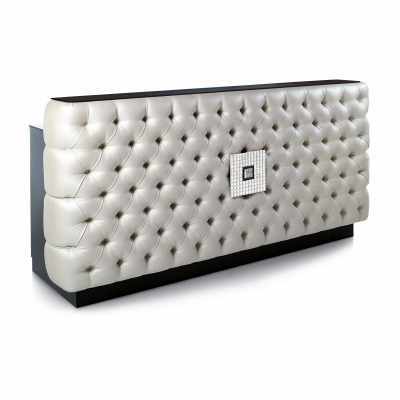 The products chosen for the collection were selected with the aim of addressing the luxury market with brand recognition possible working only with a world renowned fashion house. 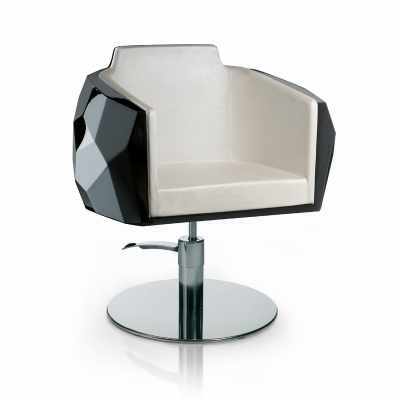 The Crystalcoiff chair is made from a molded plastic polymer with exclusive resin finishes. 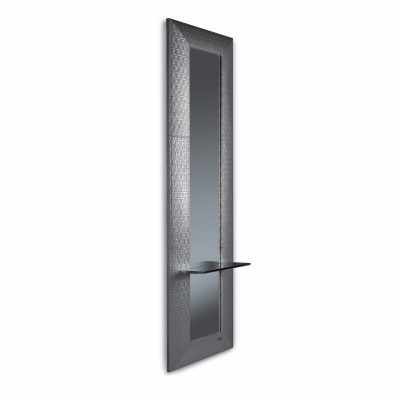 The Empire mirror has an extruded aluminum frame covered in the embossed branded silver leather. The Fashion Collection represents the highest luxury standard the beauty industry has to offer and recommends the line only for the most exclusive clients. Swivel chair. Color option for exterior: black or grey.